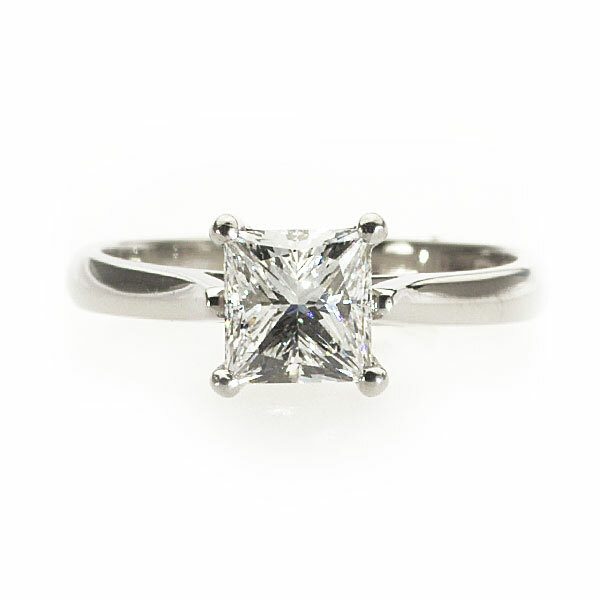 This stunning ring hosts a glowing princess shaped diamond. The gently domed band of the ring has clean squared edges while claws holding the gem are rounded to soften the look of the whole ring giving it a delicate finish. Like all of my rings, this can be made for you in any diamond size, any finger size and any metal.